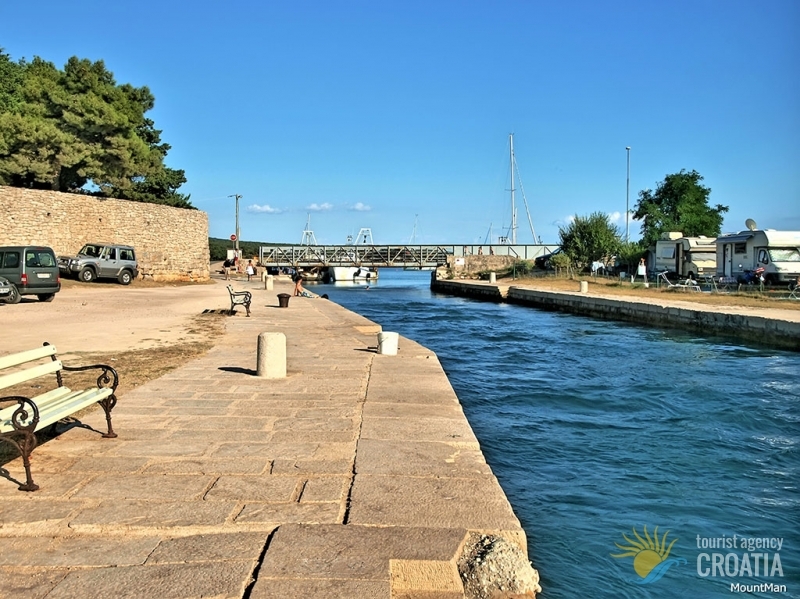 The town of Osor, together with the road that continues to the Punta Križa, lies on the southernmost part of the island. 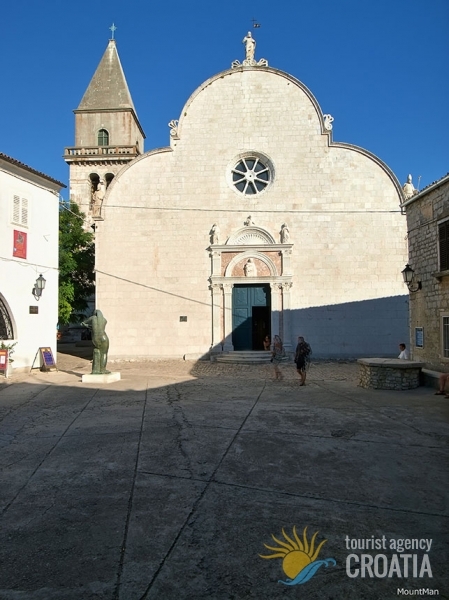 For as long as one can remember, Osor has been one of the most important centers of the Cres and Lošinj archipelgo, and a prominent transit ort of strategic significance, located on the channel that separates the two islands, thereby considerably shortening navigation from the Northern Adriatic ports to Dalmatia. You can find the many remnants of the town's famous past in the historical heart of town: the town forum, the municipal palace, the "loggia" covered by an arch (now housing a museum), the diocese, and the cathedral with the church tower. All of these structures date from the XV. and XVI. centures, built during an era when epidemics raged, against which the town protected itself by erecting the city walls. In the cemetery outside the town centre, the last remins of the mythical Apsoros (Osor) are visible: the foundations of an early Catholic cathedral, walls, towers, gardens, and fields that cover up the ruins of the Roman villas and monasteries, hidden jewels that remind us of times past. Today the town is again being brought to life, thanks to a string of cultural events bearing the commom name"The Osor Musical Evenings" that take place in the Osor Cathedral, while the town's visitors can choose between staying in a private apartment in the historical heart of town, or staying at the camp-site by the sea. 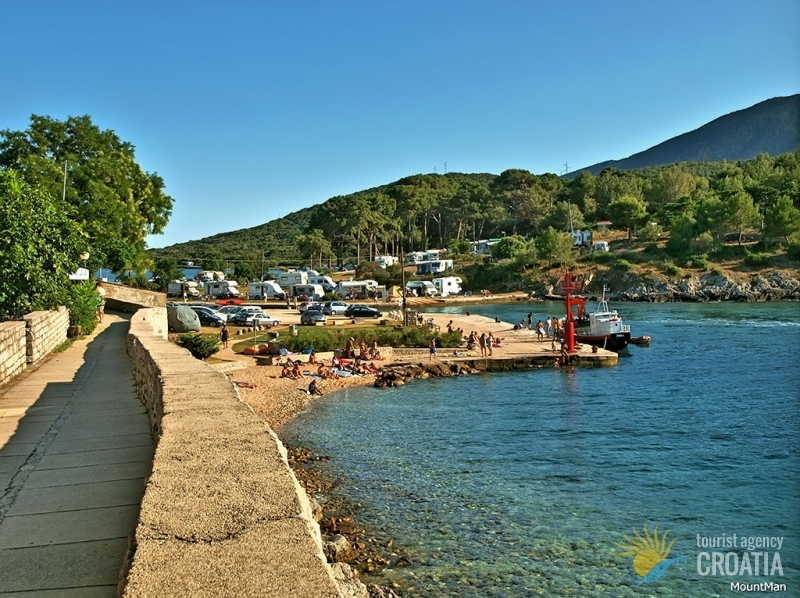 Continuing on the road to Punta Križa that winds in-between rich hunting grounds and broad pine treees, you arrive at two large and well-equipped camps that have, along with a nudist colony, plenty of restaurants, various stores, sporting facilities, and lots of beach space alongside gorgeous bays.